We spy…SPRING! And a community committed to Unplugging. Kudos to the Overland Park Arboretum & Botanical Gardens for giving families cell phone sleeping bags and free admission this weekend! 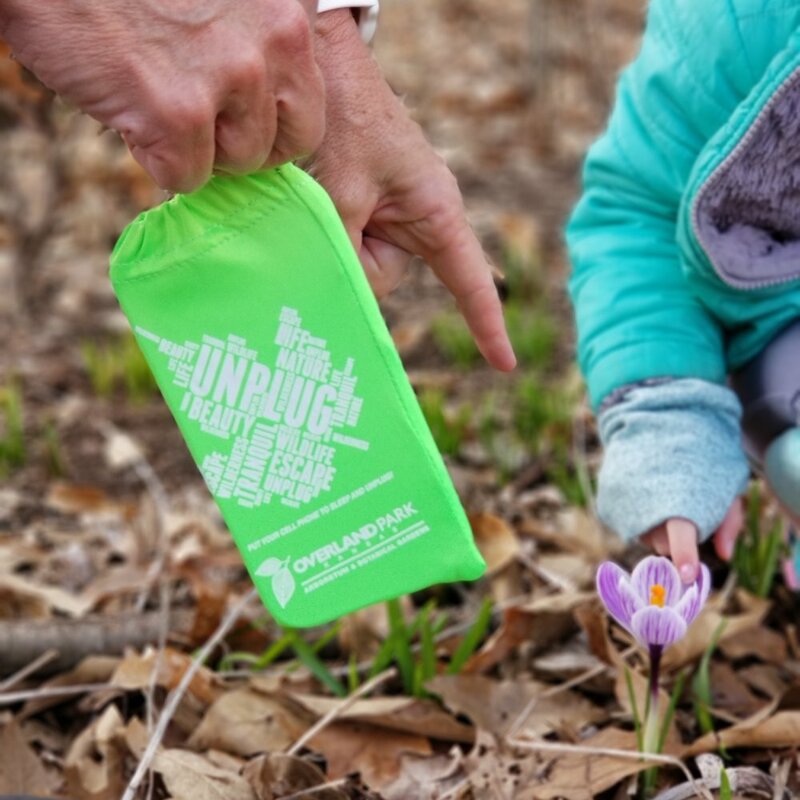 It can be hard for families to find time to unplug, explore, and make fun memories…but these little green bags are a simple way the City of Overland Park is encouraging the next generation of kids to get curious about the world…and their contributions to it. Thanks, OP, for helping families remember that screens are small, but life is big!